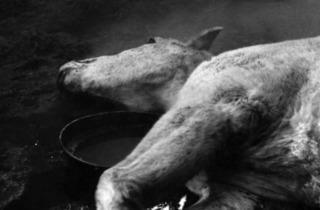 by Dimitri KirsanoffShot in the Winter of 1924, this film &ndash; director Kirsanoff&rsquo;s most famous &ndash; opens sensationally with the murder of the two girl protagonists&rsquo; parents in front of their rural home. Orphaned, the girls decamp to Paris to make a living, where they end up in the working-class neighbourhood of M&eacute;nilmontant. 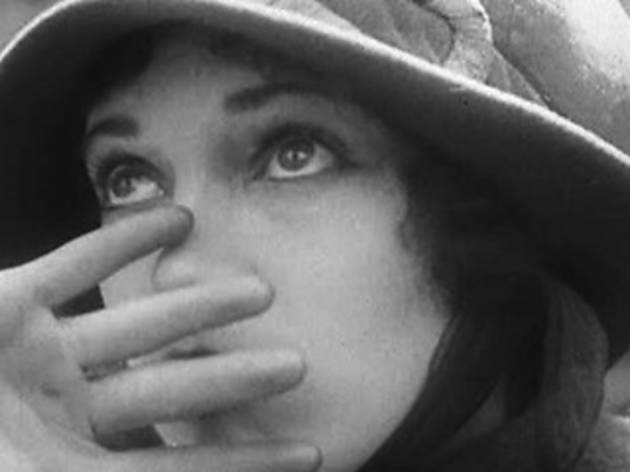 Not only does it evince a certain brutality atypical of the time, &lsquo;M&eacute;nilmontant&rsquo; is also a work of great visual and narrative modernism: doing away with intertitles and any semblance of the then-current Expressionist aesthetic, it runs riot with superimpositions, intense closeups and wild editing. 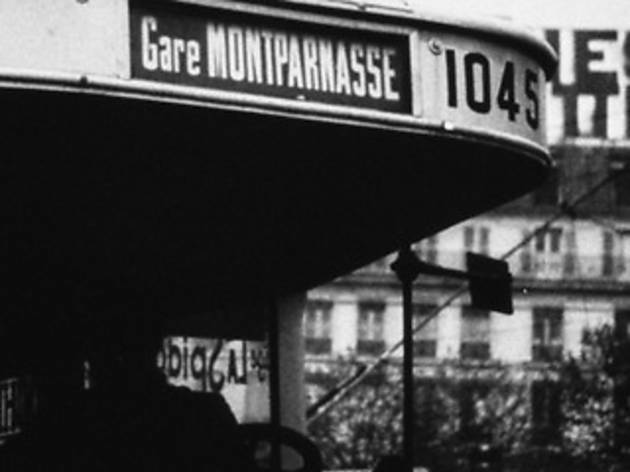 Acknowledged as a masterpiece of silent cinema, the film gives a memorable portrayal of the 20th arrondissement as it was before gentrification set in.Click here to read our full review. by Eugène DeslawBorn in Ukraine, Eug&egrave;ne Deslaw settled in Paris in 1922 aged 24, and set about directing a clutch of visually bold documentaries inspired by Italian futurism, of which this is perhaps the best. Along the boulevard we witness automobiles mingle with packs of goats under the sultry gaze of starlet of the day Kiki de Montparnasse, whose posters adorn the buildings. On the pavements and in the caf&eacute;s, we spot the likes of Luis Bu&ntilde;uel (at 13:22) and the Japanese-born artists Tsuguharu Fujita. 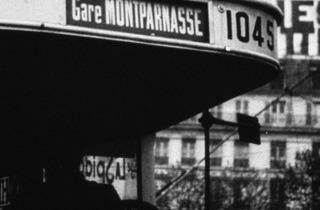 Recalling Dziga Vertov&rsquo;s documentaries in its dynamism and conception, &lsquo;Montparnasse&rsquo; remains a beautiful and passionate record of what was then the beating heart of Parisian culture. A trip in time, lasting a mere 15 minutes. 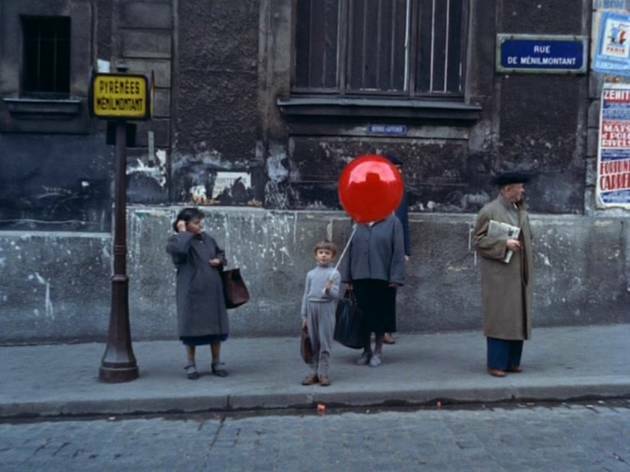 by Georges FranjuBefore rebranding himself as a master of the genre film with his later classics &lsquo;Eyes Without a Face&rsquo; and &lsquo;Judex&rsquo;, Georges Franju shot a couple of documentaries, of which this exploration of the abattoirs around Vaugirard and La Villette is a striking example. &lsquo;The Texas Chain Saw Massacre&rsquo; looks like a Disney film next to the brutality on display here; yet the ever poetic Franju manages to weave it into a lyrical juxtaposition with the calm of the canals and wastelands that surround the slaughterhouses. And despite the overtly realist aesthetic, he works in a few nods to Surrealism by finding the absurd, the artificial, in the natural locations that he shoots. A killer documentary (pun intended).Click here to read our full review. 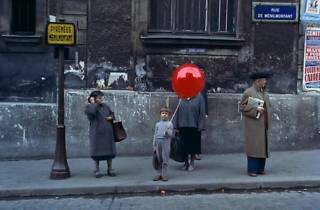 Hop back over to M&eacute;nilmontant, now in the mid-&lsquo;50s, for Albert Lamorisse&rsquo;s wonderfully poetic &lsquo;The Red Balloon&rsquo; &ndash;&nbsp;the tale of a young boy (played by the director&rsquo;s son) and his friendship with the titular balloon. Shot in the 19th and 20th arrondissements and featuring scores of pupils from a nearby primary school, the film packs a lot of charm and poignancy into its 36 minutes. 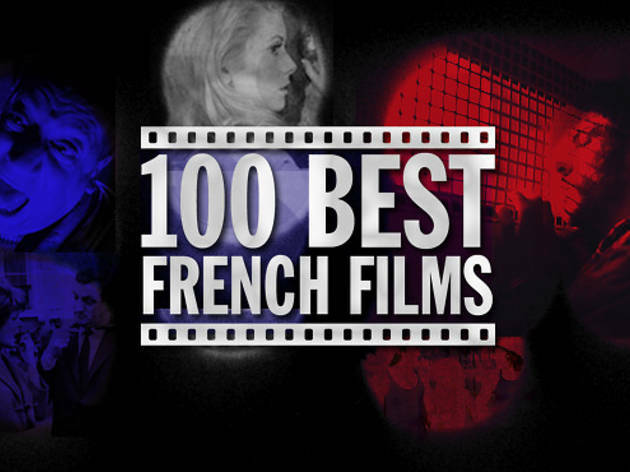 Juries the world over agreed, bestowing upon it an Oscar, a Palme d&rsquo;Or and other prizes besides. 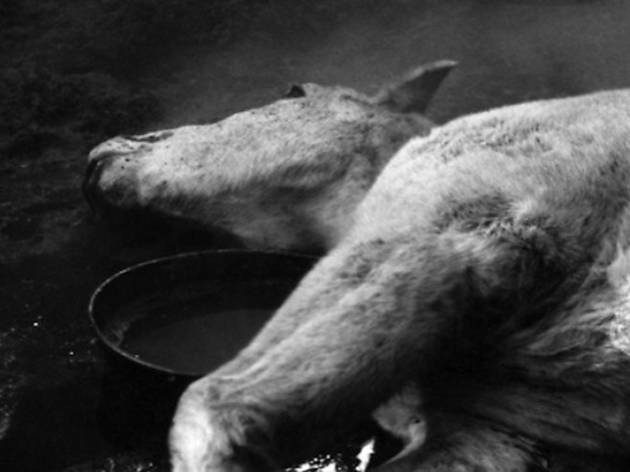 The film is also notable for featuring the last appearance as an actor of Vladimir Popov, former director of photography for Sergei Eisenstein.Click here to read the full review. 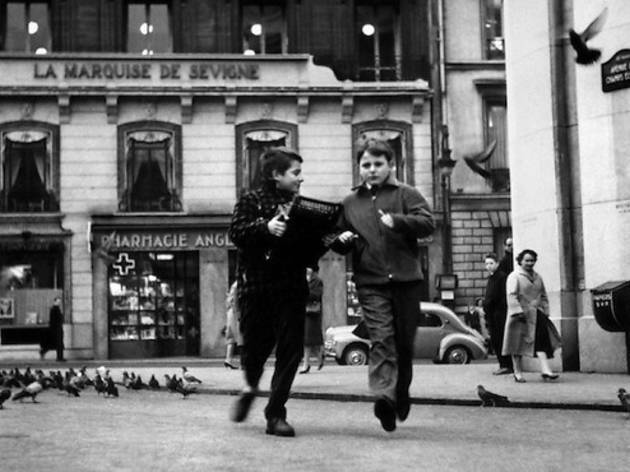 by François TruffautWith the New Wave, Paris &ndash; the real Paris &ndash;&nbsp;became a major location for film shoots. 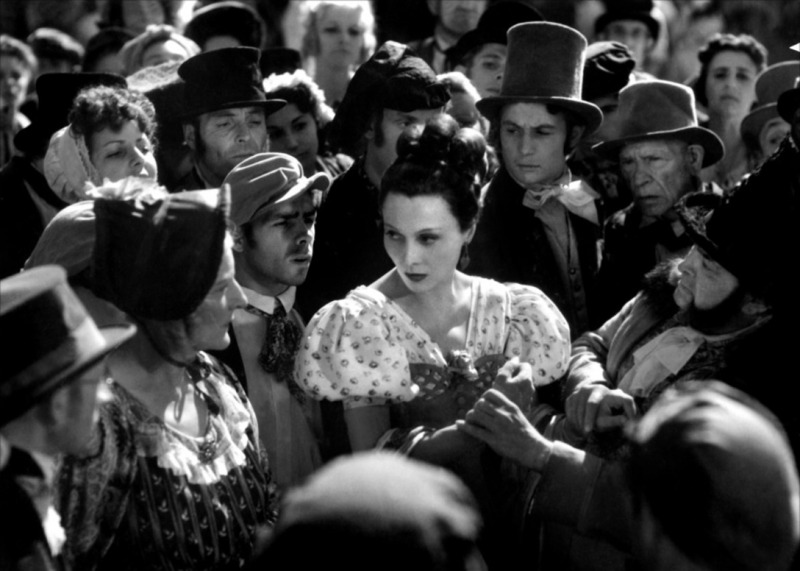 Previously, for logistical reasons filmmakers had tended to recreate its streets on studio sets (generally those of Boulogne-Billancourt) &ndash; watch Marcel Carn&eacute;&rsquo;s &lsquo;Les Enfants du Paradis&rsquo; for an example. 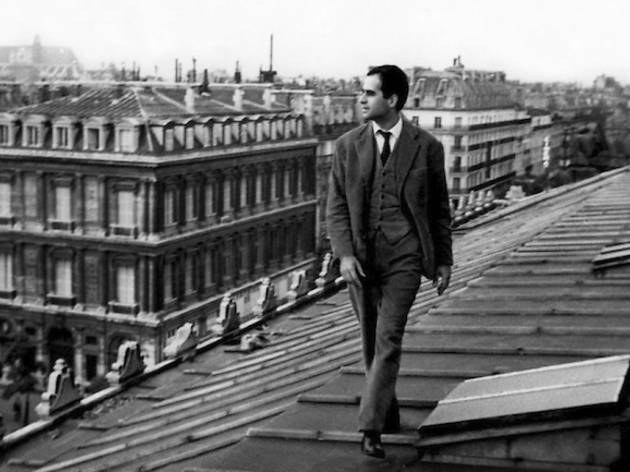 Truffaut&rsquo;s decision to exclusively use real locations was therefore a major innovation. 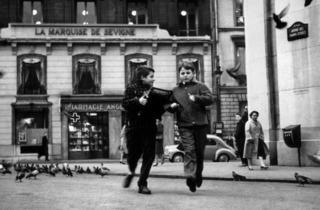 In &lsquo;The 400 Blows&rsquo;, his first feature, he filmed his young alter ego Antoine Doisnel cavort around Montmartre and Pigalle; in the follow-up films &lsquo;Baisers Vol&eacute;s&rsquo; and &lsquo;Domicile Conjugal&rsquo;, he branched out into the 9th &amp; 18th arrondissements and the more middle-class neighbourhoods of Etoile and S&egrave;vres respectively. 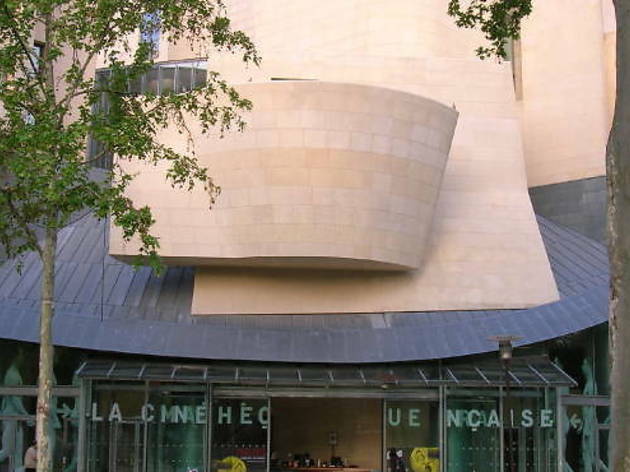 Filming in Paris would never be the same again.Click here to read the full review. 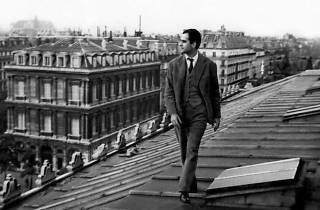 by Jean-Luc GodardWhen the producer Georges de Beauregard handed the young Jean-Luc Godard a small budget and carte blanche to make this, his first feature, it&rsquo;s doubtful that he fully grasped the momentousness of his gesture. 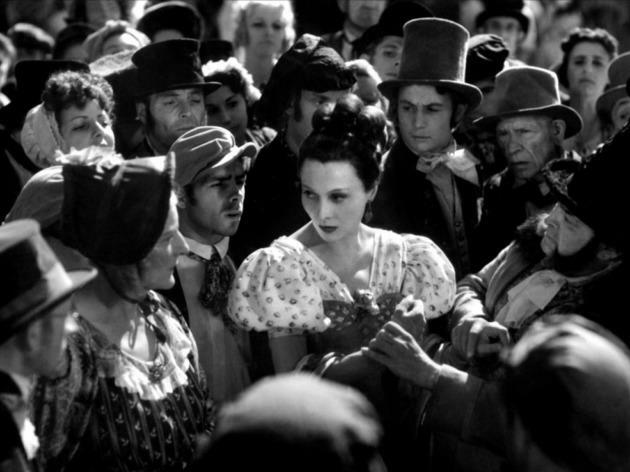 For it led not only to a breathtakingly freeform film, but by extension to one of the greatest and most controversial directorial careers in French cinema. 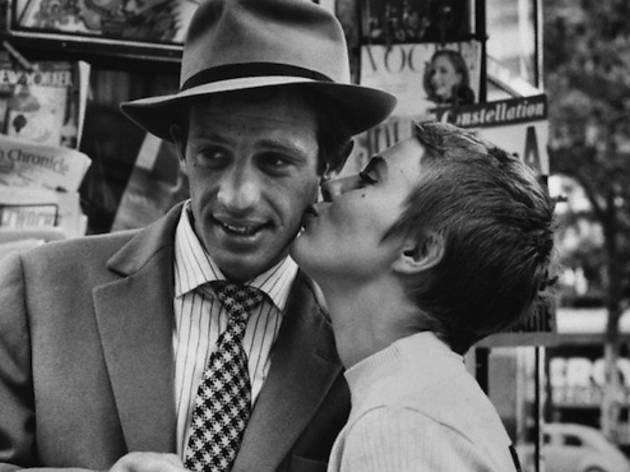 &lsquo;Breathless&rsquo;, which tracks the last hours in the life of a murderer, is at once a love story, a slap in the face of cinematic conventions, and a declaration of intent for the New Wave generation. 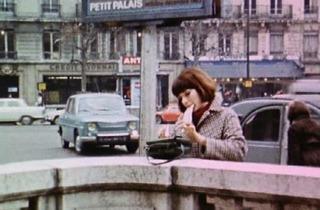 Indeed, like his comrades Truffaut and Rivette, Godard uses Paris as a living, breathing tableau onto which to etch his narrative: across its 90 minutes we&rsquo;re led from the bars of the Quartier Latin to the Rue Campagne-Premi&egrave;re, via an unforgettable scene set on the Champs-Elys&eacute;es.Click here to read our full review. 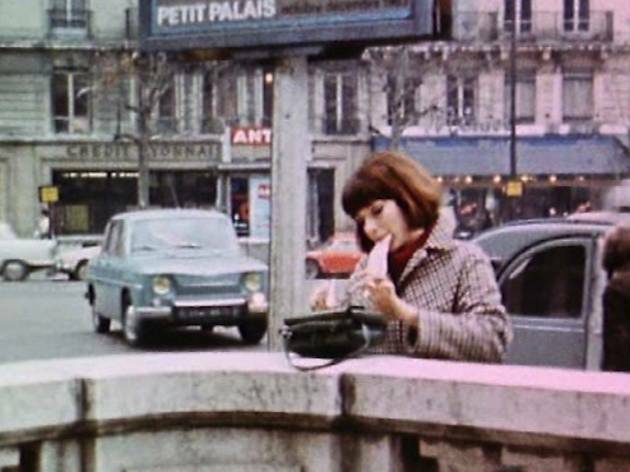 Released in 1961 but filmed three years earlier, Rivette&rsquo;s swooning love letter to Paris captures the city as directly and vividly as Truffaut&rsquo;s debut. It&rsquo;s a valuable document, for it reveals how much has changed in the intervening half-century. 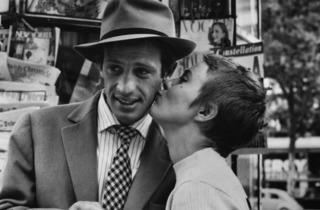 In the video below, a devilish Jean-Luc Godard discusses a certain Tania &ndash; the last descendant of Genghis Khan &ndash; while chatting up the girl sat at the next table in a caf&eacute; in Saint-Germain; where the caf&eacute; once stood, today you&rsquo;ll find an Armani. 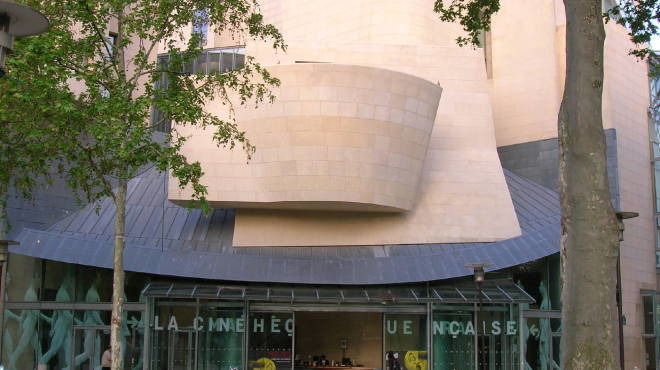 It would seem that Paris no longer belongs to &lsquo;us&rsquo;.Click here to read the full review. by Agnès VardaBetween 5 and 7 in the evening, Cl&eacute;o, a pretty young singer, wanders anxiously through Paris as she awaits the results of a medical test. An urban fable told in real time, Agn&egrave;s Varda&rsquo;s unmissable film arguably synthesises the documentary and the fictional with greater success than her New Wave colleagues ever managed. 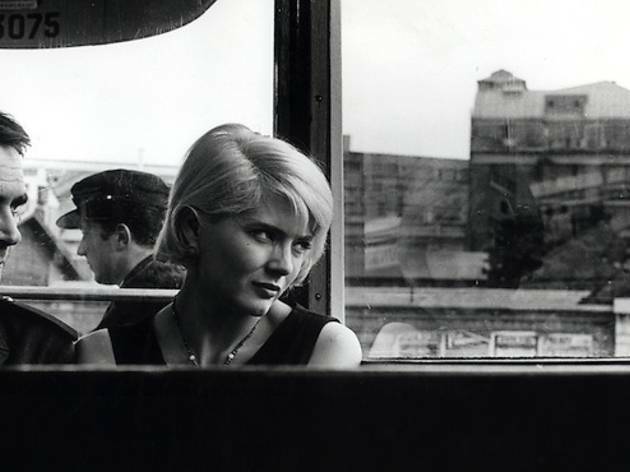 Her camera roves across the Left Bank with all the immediacy of the then-fashionable cin&eacute;ma-v&eacute;rit&eacute; aesthetic, framing the poignant central narrative against ordinary faces and everyday backdrops. 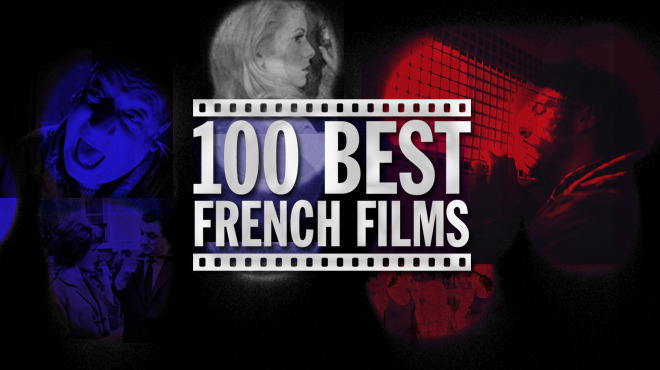 Keep an eye out for Godard and his lover Anna Karina, who are among the various members of the New Wave movement to make an appearance.Click here to read the full review. by VariousThis little known portmanteau film serves as a kind of summary of the New Wave, released just before the movement splintered and died. 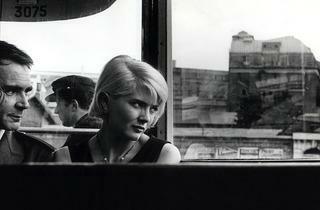 Thanks to the freedom afforded by the use of light 16mm cameras, its six constituent segments also provide novel perspectives on Paris: bourgeois domesticity in the 16th arrondissement in Claude Chabrol&rsquo;s contribution, the Gare du Nord in Jean Rouch&rsquo;s, the Caf&eacute; de Flore in Jean Douchet&rsquo;s. Given its cheap production values and on-the-fly aesthetic, &lsquo;Six in Paris&rsquo; comes across as a manifesto for this group of directors; yet with its light-hearted playfulness, it also smashes the received idea of the New Wave filmmakers as a bunch of dour intellectuals.Click here to read the full review. 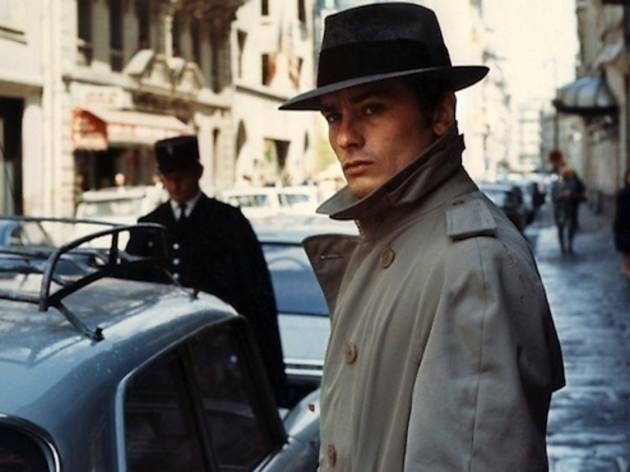 by Jean-Pierre MelvilleWhat more fitting way to conclude this feature on pre-May &rsquo;68 Paris than with Jean-Pierre Melville&rsquo;s sober masterpiece? 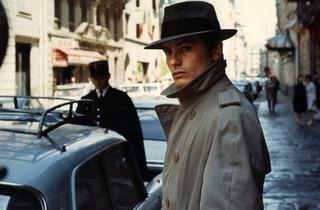 Taking as its subject a contract killer (an impassive Alain Delon) wanted dead by seemingly everyone, Melville&rsquo;s camera darts furtively across the city, taking in the protagonist&rsquo;s humble garret in the 19th, the plush boulevards of the 8th and a breathless chase through the metro. An out-and-out classic, &lsquo;The Samurai&rsquo; has aged immaculately despite its comprehensive portrayal of &lsquo;60s Paris &ndash; just watch Jim Jarmusch&rsquo;s &lsquo;Ghost Dog: The Way of the Samurai&rsquo; to appreciate its enduring influence.Click here to read the full review.